Nature catching up with Art! This isn’t new artwork I just wanted to post this photo, courtesy of Joanna Richardson. 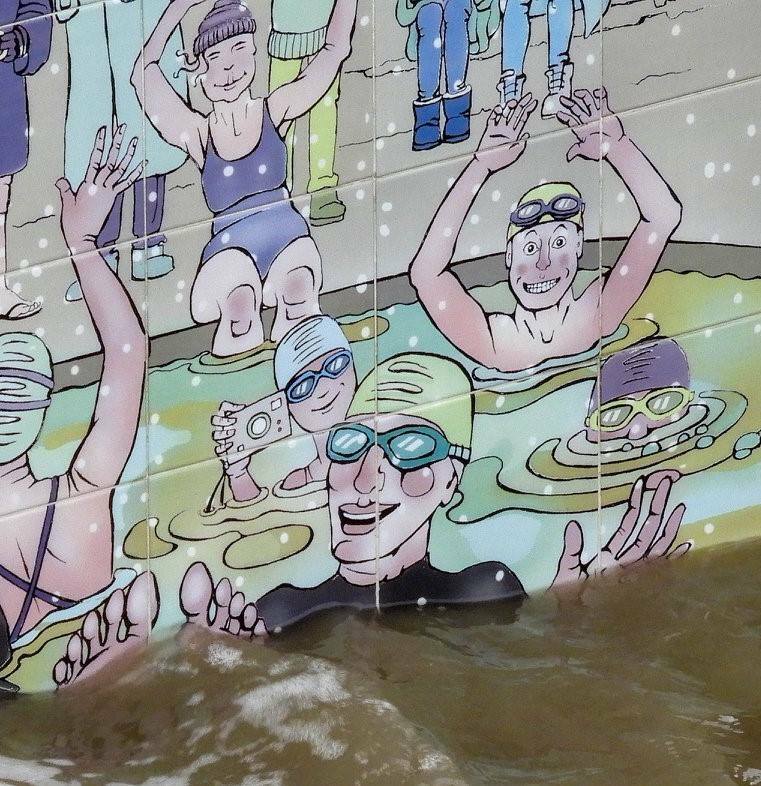 This is a panel I designed for Marlens (the charity which maintains the Marine Lake at Clevedon), one of three printed onto tiles and installed at the lake. Usually it’s not underwater, but on Friday it was a very, very high tide. And below is me on a different day, next to it, just for reference! 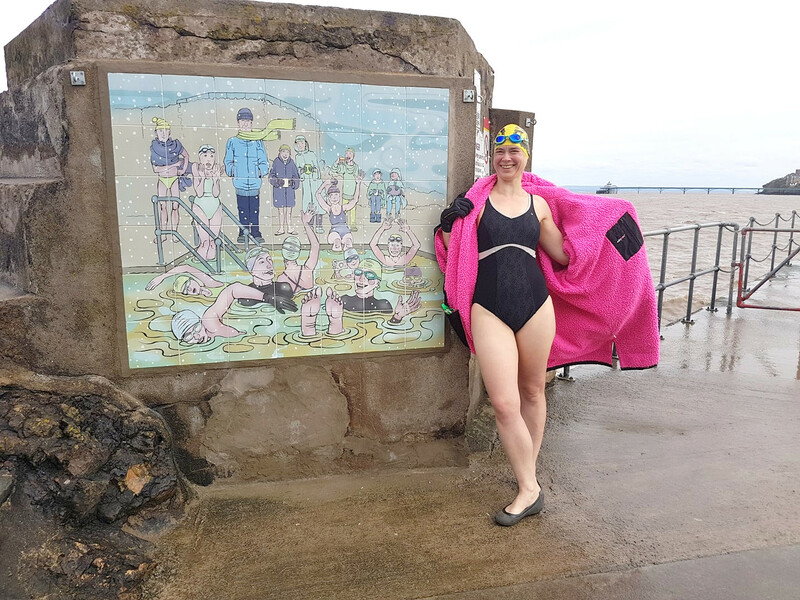 This entry was posted in Uncategorized and tagged art, art by Nancy Farmer, Bristol Channel, Clevedon, Clevedon Marine Lake, Mural on February 23, 2019 by Nancy Farmer.